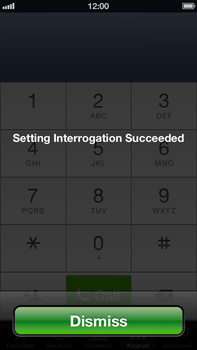 Your iPhone 5 may need extra settings if you want to use voice mail with your BASE SIM card. In some cases, voice mail is automatically configured upon first use of the SIM card. If the displayed phone number is +32 486 1919 33, choose Dismiss. Return to the Start screen. Enter **5005*7672*+32 486 1919 33#, and choose Call.